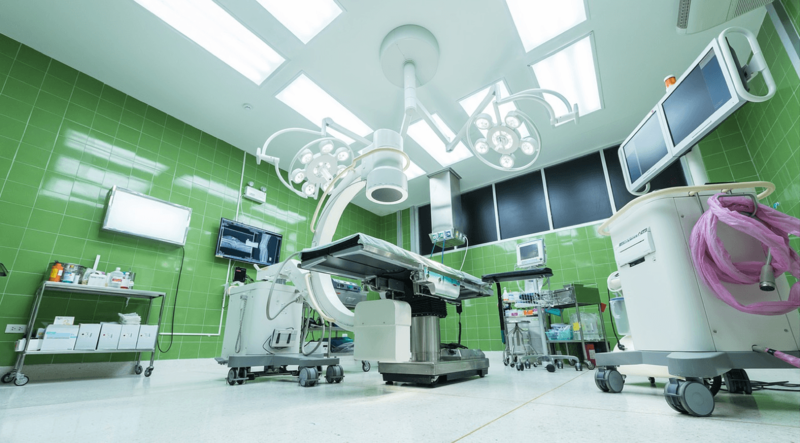 Victory sprayers are helping hospitals to sanitize rooms with better results and in less time. Victory sprayers are helping kennels to improve the quality of living for their boarded animals. the quality of living for their boarded animals. Victory is in the news. People around the world are discovering the benefits and advantages of the Victory sprayer. Watch these videos to see what they are saying. Coats up to 23,000 square feet on a single tank of fluid. 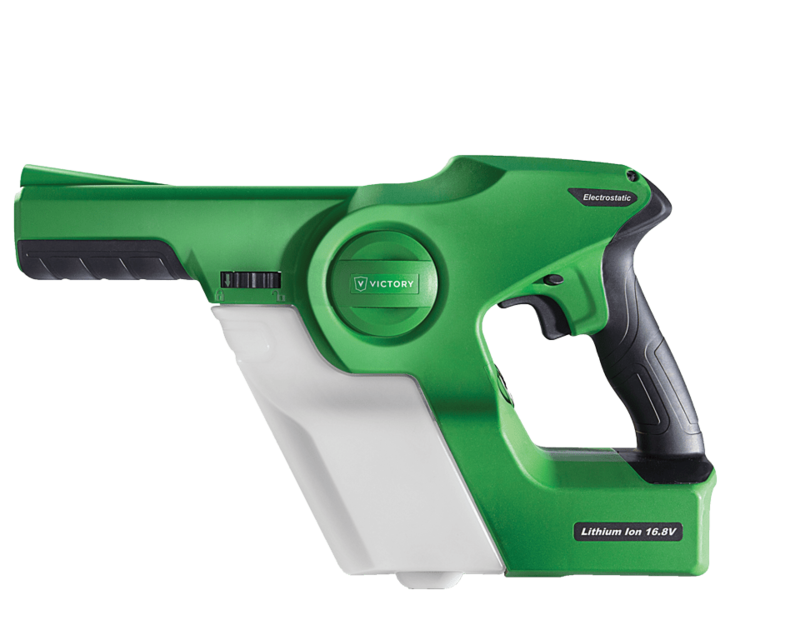 Combined with our patented electrostatic charge, this allows you to apply an even coating on all surfaces. Coats up to 2,800 square feet on a single tank of fluid. 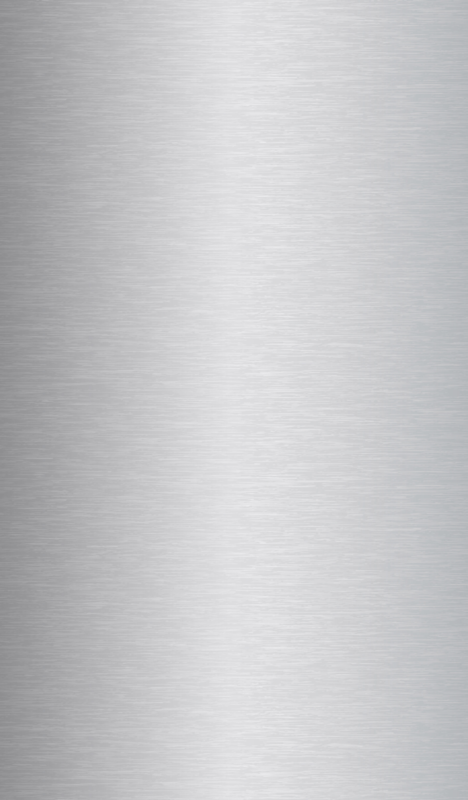 Combined with our patented electrostatic charge, this allows you to apply an even coating on all surfaces. 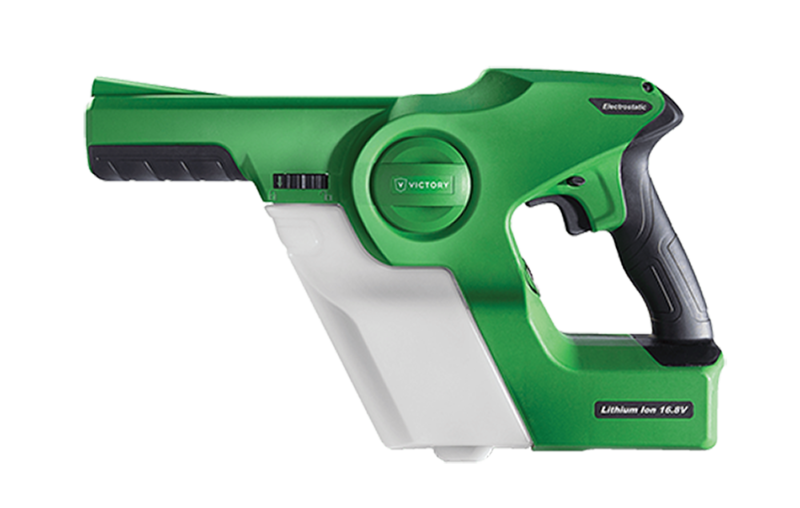 Proven electrostatic technology combined with the Victory patent pending cordless 2X charge provides superior professional results. When the unit is turned on charge starts at charging ring and works itself back down the line, through the pump and into the tank changing all ions positive. All the positive Ions from the tank are pumped from the tank through the pump and charged again at the charging ring all prior to becoming atomized. In most cases, a spray-and-wipe technique can move bacteria from one surface to another. Cross contamination can be considerably reduced due to the touchless effect of the Victory Sprayer. 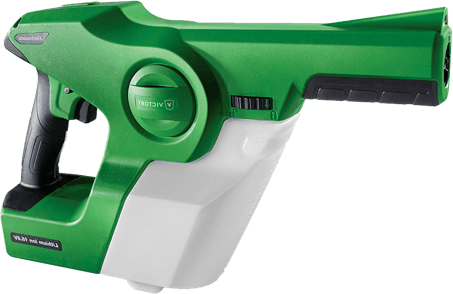 No gauges, cords, or compressors – our cordless Victory Sprayers have been designed to be used by anyone, with the use of simple switches and triggers. 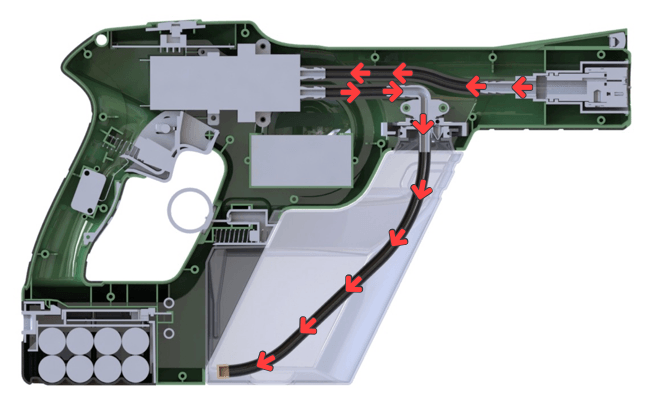 Simply fill up the tank, turn on the electrostatic switch, and pull the trigger. 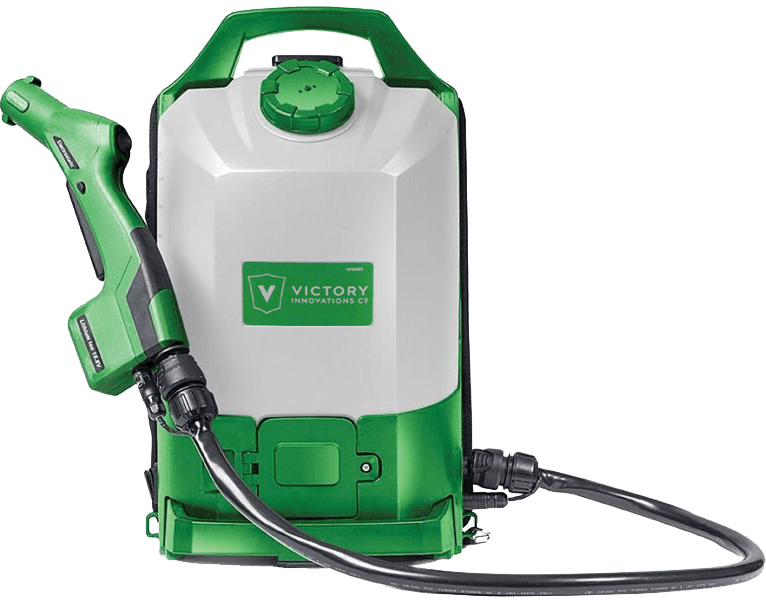 Our Victory Sprayers are light weight, cordless, and can be easily taken anywhere! Victory Sprayers are cost effective and easy to implement due to their versatility, portability, and effectiveness. 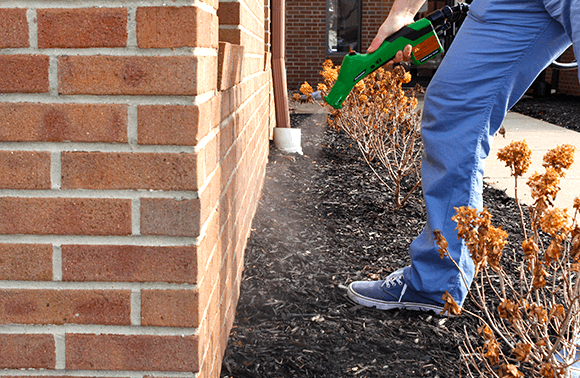 Victory Sprayers’ standard 3-in-1 nozzle allows the user to match particle size to the chemical’s required dwell time. 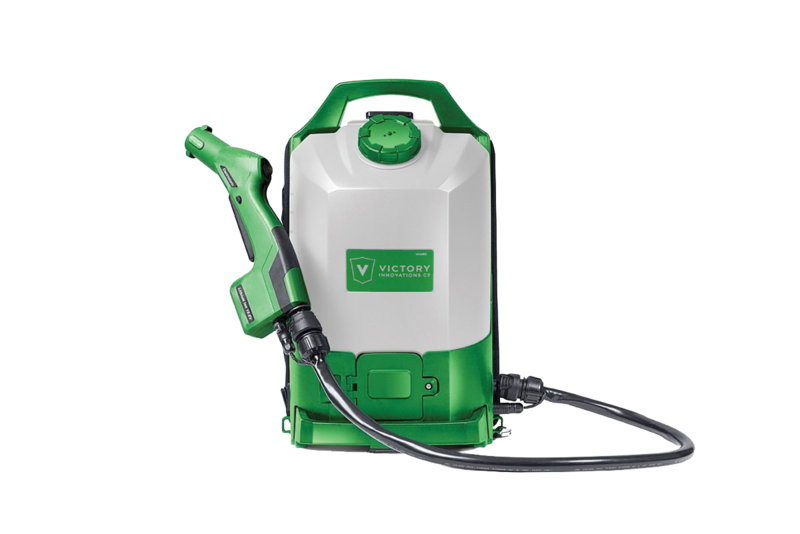 Victory Sprayers give an eco-friendly approach to disinfection by spraying up to 65% less chemicals per square foot. Often used with biocides and disinfectants for food processing plants, cruise ships, airplanes, cargo containers, production agriculture, hospitals, schools, daycare veterinary clinics, homes, and businesses. Used with the right chemicals to neutralize a wide range of chemical agents, biological agents, and toxic industrial chemicals. 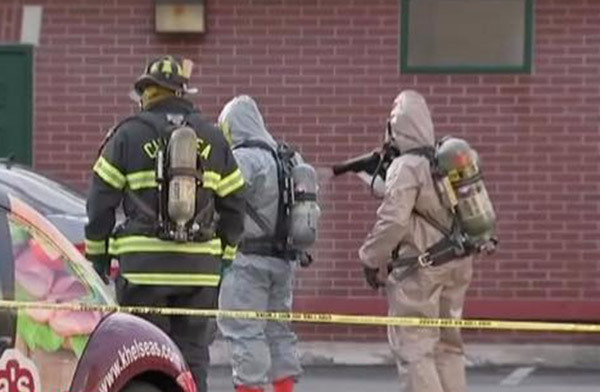 Uses include hazmat teams, CBRNE units, clandestine labs, EMS, first receivers, and outbreak responders. Great for the application of insecticides or fumigants in locations such as warehouses, maintenance, under buildings, restaurants, kennels, stables, barns, and chicken coops. Combined with the right chemicals, eliminate odors in cars, gyms, locker rooms, restaurants, dumpsters, and many other applications. As fully-charged droplets hit the surface they create an even spread. Particles hold their cationic charge for approx. 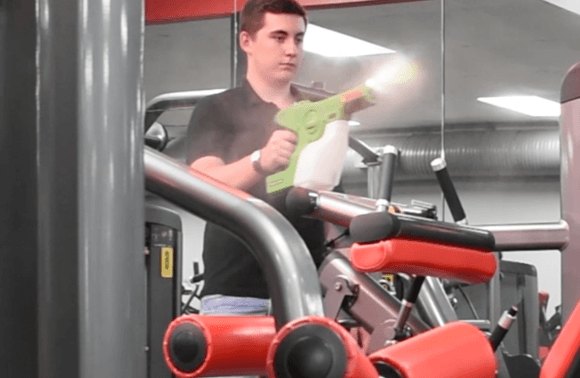 2-3 seconds – preventing drips. This allows the solution to cover hidden and shadowed areas, and also enables you to cover a large area in a small amount of time. Uses less solutions, saving you money. Minimal downtime and saves time on labor. Portable and easy to operate. Confidence in solution coverage and effectiveness. Cover larger areas efficiently. We’re here to help. Contact us now to get the answers or advice you need.